The SlamPlate van lock has been designed to address the problem of van handles being broken and removed to gain unauthorised access. 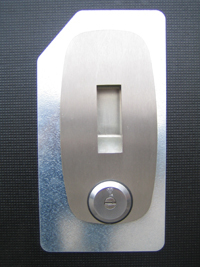 Standard manufacturers van lock handles are often installed with unsecured plastic fittings. The SlamPlate van lock is constructed from steel plate coated in a black powder coat, or stainless steel, giving a far superior level of van lock security. The SlamPlate van lock incorporates a SlamLock allowing a one handed operation for ease of use, offering a highly practical & secure option for courier companies and multi-drop drivers who require the next level in van lock security. 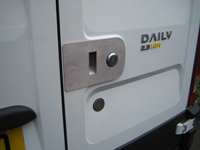 The SlamPlate van security lock has been designed to be door specific and is available for a number of vans. 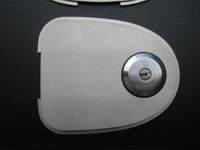 Please contact us to find out if there is a SlamPlate van lock available for your van. Our expert mobile fitting service means that you can get SlamPlate supplied and fitted to your van at home or your work place.